Why won’t I change anything about it? It’s my Mom’s recipe; when I started off I knew nothing about blogging but what I did know? That this recipe was the best way to start off a blog with. I wouldn’t be who I am with out my Mom and this recipe is everything I love about cooking. 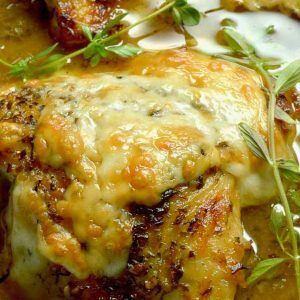 It’s a recipe with a few ingredients that turn into something amazing with little effort and some time in the oven. 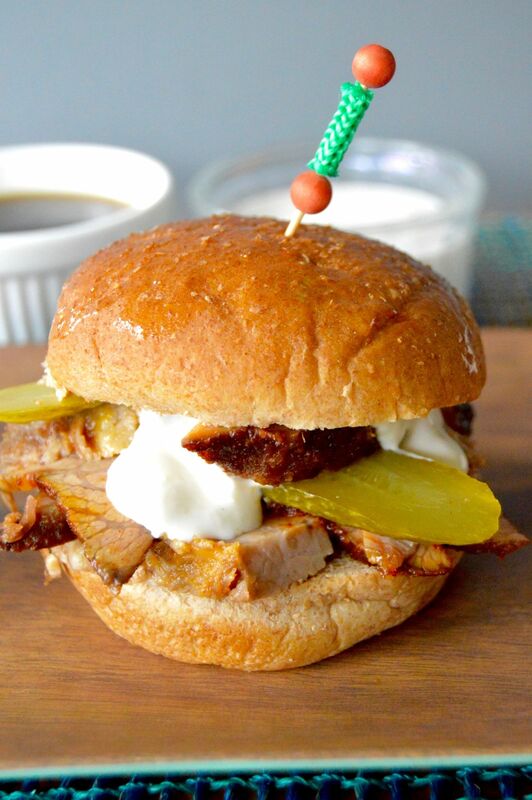 With Mother’s day coming up I thought I would share another sauce that my mom used to make with the brisket and have it be more to what my blog has become, an appetizer/party recipe, thus Spicy Beef Brisket Sliders it is! My mom served these Spicy Beef Brisket Sliders often. It was a staple of many football parties, celebrations, Halloween parties etc. Looking back everyone ate up every last bite of those brisket sandwiches and all the mints and cake pretty much were left untouched. Of course Mom was right, people like good tasting food, packed with flavor! I can remember so many people asking for this recipe after that party. 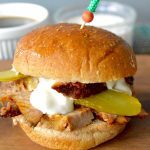 The recipes for the Spicy beef Brisket is found in that first post, but today I’ve included another sauce option to go on the sliders. It’s a Sweet Hot Mustard Sauce. Here is the link to the horseradish cream sauce! I hope you enjoy it and thanks for indulging me on a trip down memory lane about my mom. 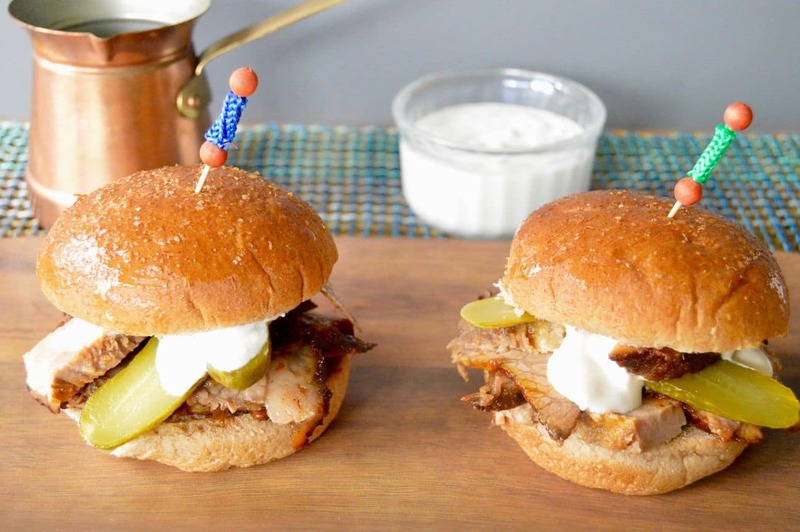 Easy/Hard: The Spicy Beef Brisket Sliders and horseradish sauce are EASY! The mustard sauce is medium. When I first started making the mustard sauce I messed it up by curdling the egg. If you follow the tips in the recipe you will find it easy, but skipping the double boiler can lead to curdled eggs. Make Ahead? Yes. You can prep this up until the baking time so you have free time the day you are serving it. Just toss it in the oven 4-5 hours before you’re ready to serve. You can also cook this a day ahead, but you will need to warm it up slowly before serving. The last time I made sliders went as far as to put the meat into the buns and wrap them in foil the night before and slowly warmed them up before serving. The foil has to be sealed tightly to not dry out the rolls though. Serving Suggestions: This meal works great for a large group. Briskets come in many sizes, even whole ones. If you buy a whole one you can cut it into 2-3 similar pieces before cooking and package them separately so they finish at the same time. Only open the foil packets as you are ready to serve them. This keeps your brisket hot and fresh at the time you serve them. OPTIONS: Serve with different sauce options. 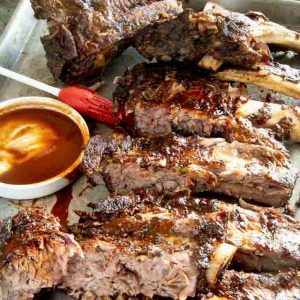 Horseradish cream, mustard, your favorite BBQ sauce or even with the au jus that is available from cooking in the foil packet. 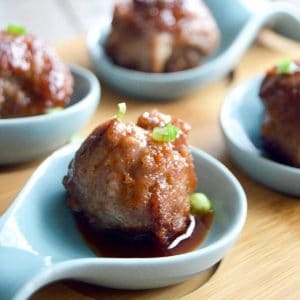 You can either serve the sliders already made or set up a buffet where the guests make their own! 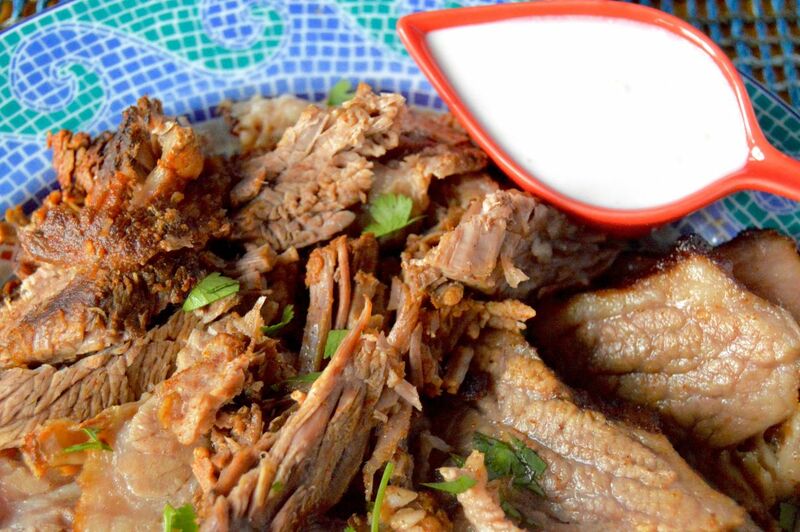 Balsamic Beef Roast ~ fork tender when it’s done! Rib Eye Roast ~ as a special occasion, or make sliders with the Rib Eye! Great for any sandwich that you want to kick up a notch! In the bottom pan of a double boiler bring water to a boil. While waiting for water to boil, in the top pan (which is not on top of water yet, mix all ingredients until all combined. Once water is boiling, reduce heat to medium and place top pan over boiling water. Stir constantly until the ingredients thicken to slightly more thick than a pancake batter. About 15 minutes. It is very important not to quit stirring or to up the heat to get the sauce to thicken more quickly. Failure to do either of those things will likely result in a curdled egg and a very gritty texture. It takes a bit to make this sauce, but it is worth it. Sauce can be served warm or cold depending on your preference. Store in an airtight container in the refrigerator. Sauce keeps for about 10 days. If you don't have a double boiler you can use a 2 pans to create your own. Use one large pan and one smaller pan that will nest inside of each other. I also have used a metal bowl that I could sit atop the bottom pan. Just be careful as the bowl is really hot so use caution and heating pads when trying to remove or handle the bowl. These are really, really tasty! These are making me hungry! I never knew sliders could sound so delicious! My mom’s recipes show up in a few of my blog posts, too. We’re so fortunate to have amazing role models to teach us all about good food! We are not a fan of brisket! But this recipe makes me want to give it another try. Yum! Even though I don’t eat meat since I’m a vegetarian, I know that my husband would enjoy something like this. Thanks for sharing the recipe! My husband would love these. They’d be great summer food! Those look amazing. I bet my husband would love to make these for me! Hehe! Omg can we say yummy?!?! Brisket is definitely on my list of favorite foods. I need to make these sliders. That meat looks MELT IN YOUR MOUTH amazing!!! My husband loves brisket, too! 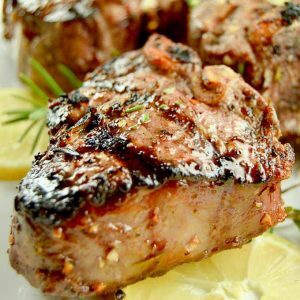 I’m pinning this for later, because he would LOVE it if we had these for dinner one night! I made brisket once, on the grill/bbq. Loved the taste it was beyond awesome. I must try it again with this recipe. And then make sliders too. I am a vegetarian but everytime my friends see some beef brisket they go nuts. If you add spice to the mix I think they will just lose it completely they lurrrrve spice. I love sliders. I make them as appetizers for parties and for snacks as well. I will have to try your recipe. These sound absolutely amazing! I love sliders in just about any form! Delicious! This sound so good. I shared for later this week and put it on my menu for Monday! I love brisket and never thought of using it for sliders. Love this idea! We all have to start somewhere with pictures. I am still learning!! And these sliders look great! My husband loves brisket! I think I’m going to save this for him for Father’s Day. Brisket is hard to come by up here in the northeast, but I sure love it. These sliders sound SOOOO yum.